a dedicated tab in a Chatfuel bot where bot administrators can manage conversations. 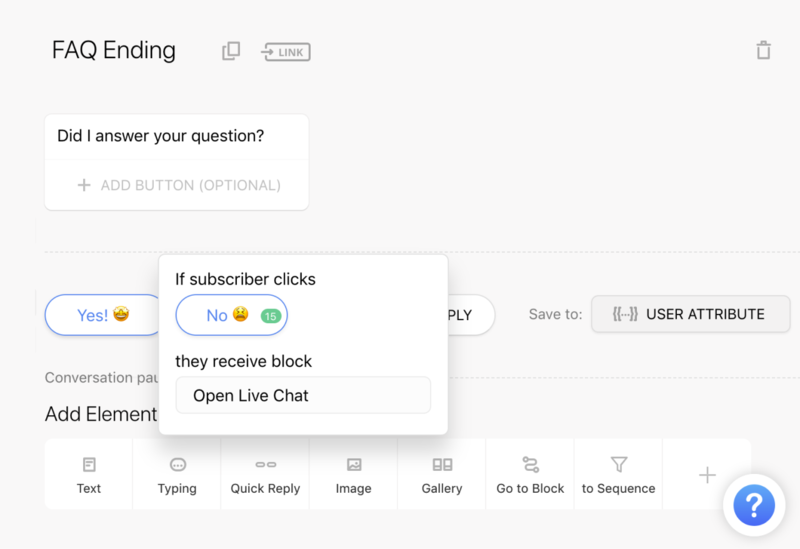 The Live Chat tab looks pretty much like any other messenger and allows you to manage conversations manually without leaving Chatfuel. This is also useful if you want to allow some of your teammates handle conversations with bot subscribers but deny access to the rest of the bot’s internals or the connected Facebook page. find them in the People Tab, click on the Messenger icon and send a message. This plugin pauses the bot automatically when used during a conversation flow. This might be useful if the bot cannot answer the question and human help is needed. The plugin’s welcome message and the final card are customizable. If users start the chat and do not stop it by themselves, Chatfuel will keep the session open for an adjustable timeframe. After the time runs out we automatically stop the chat session and the next user’s input will be recognised by the AI. 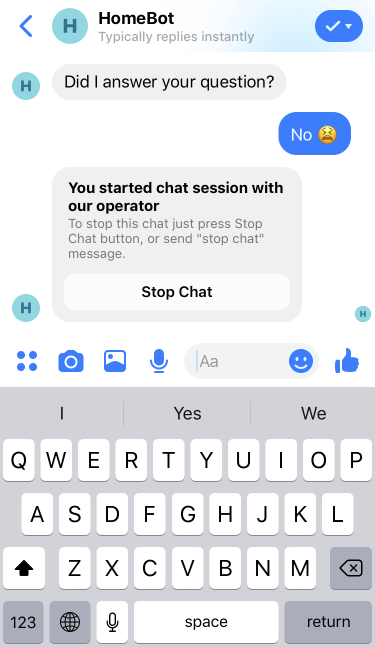 Each time a user starts a new chat session, you get push notification from your bot with a link to your Facebook Page’s Messaging section where you can answer your user. To do this you have to connect your bot to Facebook Page and click the blue ribbon at the bottom of the plugin to confirm you’re the manager of the chat bot.